Select the Save or Save As… option, which will display the File Save As dialog. 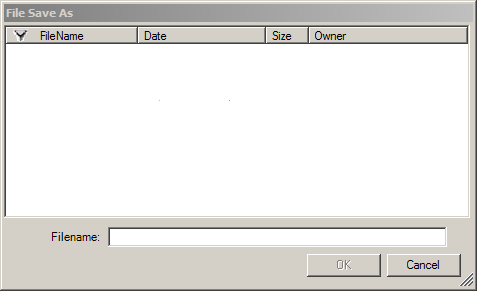 Enter the desired file name in the Filename field. Click the OK button to save the file. Place the mouse pointer over the File option, which will display the File menu. 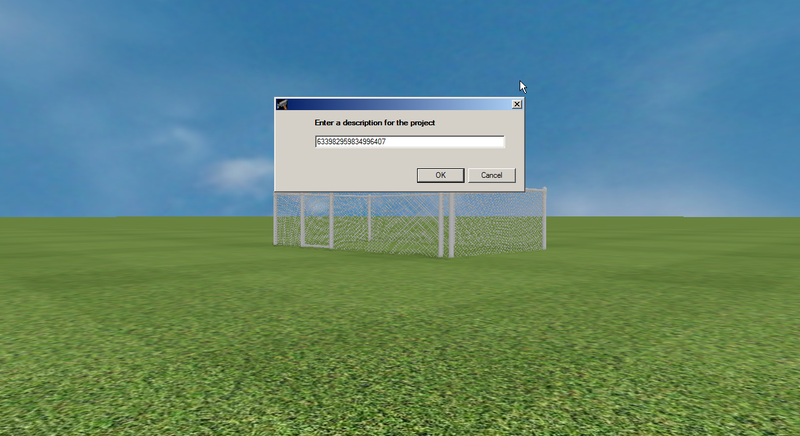 Choose the Save Project option on the File menu, which will display the 3D view with a dialog to enter a description of the project. Enter a description in the space provided and click the OK button to save the project. The project can be accessed through the Project Browser entry labeled My Projects.